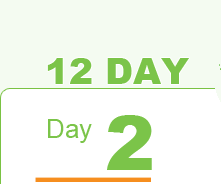 You’ve made it to day 2 of the detox, Today we want to talk lemons…. Lemons support your immune function, reduce inflammation, alkalize your body, aid digestion, clear skin and promote healing. On top of your lemon water, don’t forget to stay hydrated this week. 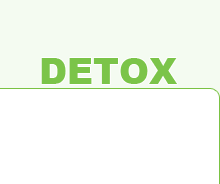 Water plays a crucial role in detoxifying and assisting in building material for growth and repair in the body. Three litres of clean water a day will help flush toxins from your body, help you stay alkalised and feel great. Drinking three litres may sound difficult, but make sure you break it up during the day. Carry your water bottle or keep a large jug on your desk and refill it throughout the day. Ingredients 1/2 a cucumber, sliced 1 lemon, sliced 1/4 of a peeled and sliced ginger 1/2 cup mint leaves PreparationCut everything up and chuck it into a water jug!You can keep refilling the jug with water for about 3-4 days before you need to replace the ingredients. How this drink detoxifies you:Cucumbers: rejuvenate you through energy-boosting vitamin B. It also contains a lot of fiber that aids in removing toxins from the body, as well as aiding digestion.The ginger aids digestion and also has anti-inflammatory properties. A 2010 study followed people who consumed two grams of ginger each day for about eleven days. Those people had a 25% drop in exercise-induced muscle pain.Lemons clean your bowels, and neutralizes free radicals that cause aging. Lemons also contain 22 anti-cancer properties. 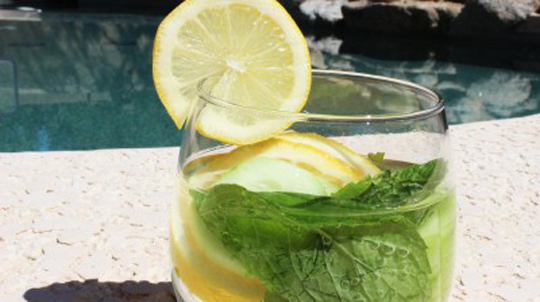 Mint promotes good digestion and contains enzymes that could prevent cancer.Now go make this crazy delicious thing!